(Newser) – More drug charges have been dropped in Baltimore as a result of a second body-camera video that apparently shows police officers planting evidence. The unreleased video "appears to depict multiple officers working together to manufacture evidence," according to the city's public defender. The news comes less than two weeks after a separate video was released seeming to show a police officer planting drugs in an alley while with two other officers. 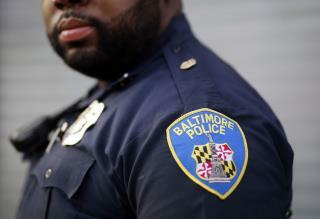 The latest video involves different officers, reports the Baltimore Sun. It shows authorities repeatedly searching a vehicle during a November 2016 traffic stop but finding nothing, lawyer Debbie Katz Levi of the public defender's office tells WBFF. Later, she says, an officer looks like he places an item in the car. Worse than the scum they are trying to frame. This is the cream of the crop! Yeah right, losers. Police LIE. If they want a promotion, they need arrests that end in convictions. No easier way than to frame people.